Contact us for West Seneca Sign rentals - Serving all of Buffalo! 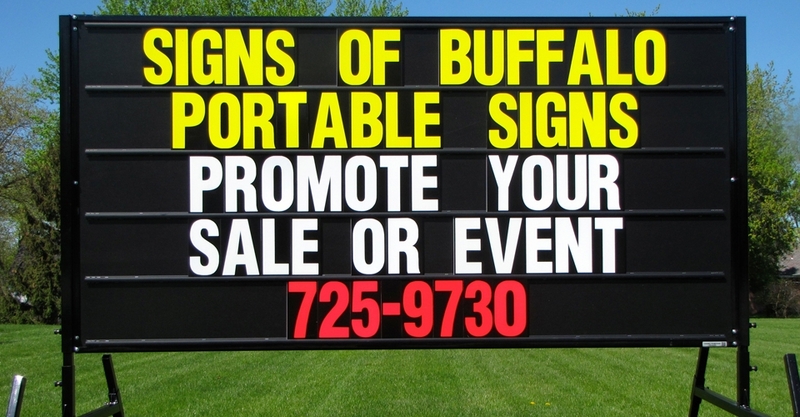 Let Signs of Buffalo make advertising and promoting easy and cost effective. Compared to radio, television, newspaper or other traditional advertising methods you won’t find a better return for your advertising dollar than a portable black sign. The right outdoor sign can be truly eye-catching, and when the message is properly configured, a viewer gets the message effectively within a few seconds. Let us help you find a better way to deliver your business message while staying within your budget.